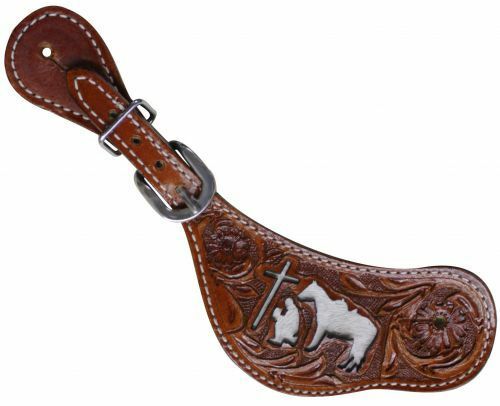 Home / Spurs & Spur Straps / Showman™ Ladies Praying Cowboy Racer Spur Straps. Showman™ Ladies Praying Cowboy Racer Spur Straps. 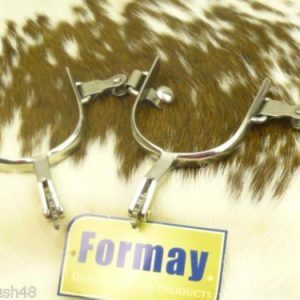 Showman™ Ladies Praying Cowboy Racer Spur Straps. 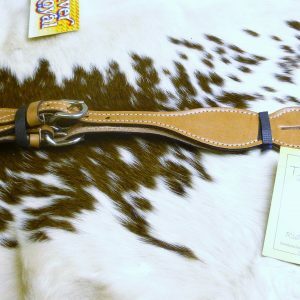 These spur straps feature hair on cowhide praying cowboy inlay accented with floral tooling. 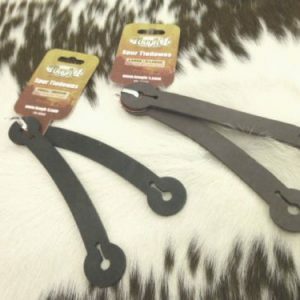 Spur straps adjust 8″ to 9″. Made by Showman™ products.